Jakob is a self-taught singer with a musical background in rock, musical and classical music. 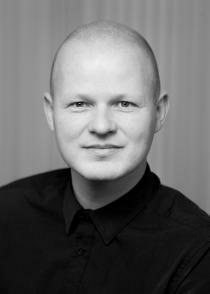 Besides his engagement with Ars Nova Copenhagen as both a singer and producer he works on a regular basis with numerous other ensembles such as Theatre of Voices, DR Vokalensemblet, DR Koncertkoret, Mogens Dahl Kammerkor, Copenhagen Soloists and Holmens Vokalensemble. As a soloist he mainly sings renaissance, baroque and modern repertoire. He is co-founder of the Holmens Mens Quartet that melts hearts wherever they go. He has also released two critically acclaimed albums with the indie rock band Windermere. Jakob has a M.A. in communication and language psychology which helps him a lot when dealing with his wife and three children.